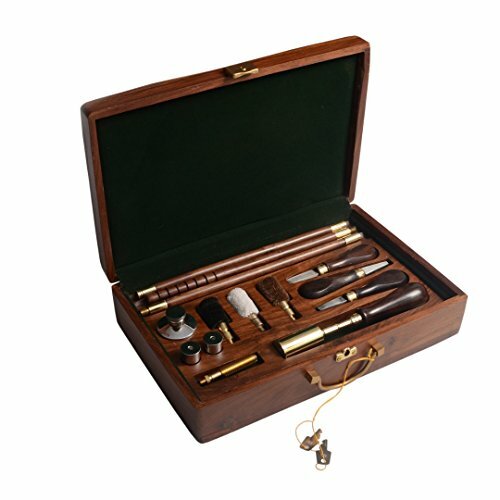 A complete hunting kit with everything you may need- wool mop, PG Brass brushes, oil bottles, snap caps, 3 piece cleaning rod, screwdrivers etc all set in a beautiful wooden presentation box. Ideal gifting souvenir for gun collectors. Contains almost all the necessary equipment needed for gun cleaning. If you have any questions about this product by Ectoria, contact us by completing and submitting the form below. If you are looking for a specif part number, please include it with your message.